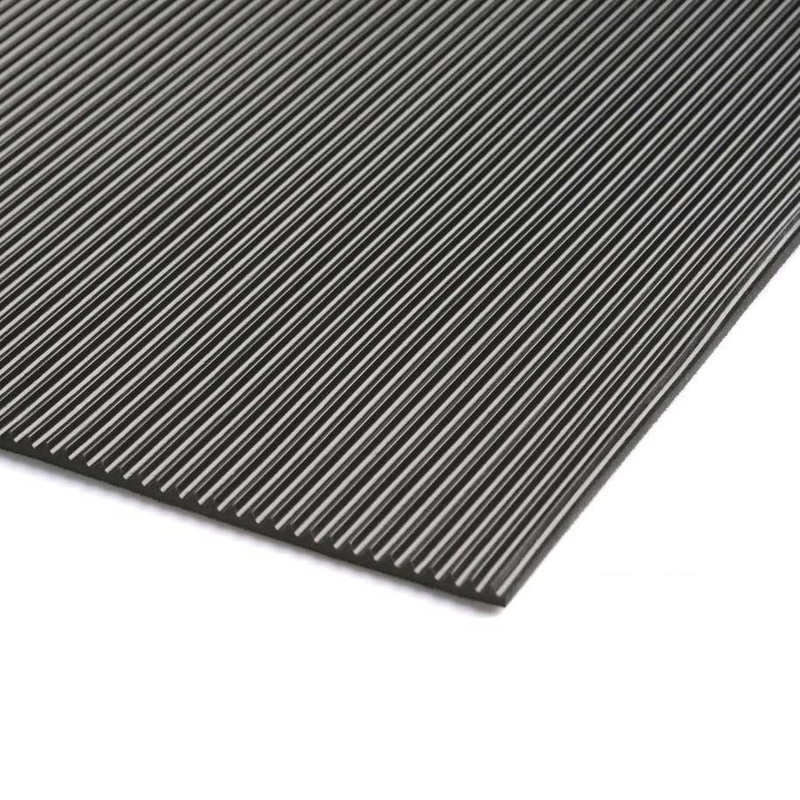 The standard fine fluted rubber matting is a highly versatile material suitable for a wide range of applications. Typically used to provide insulation on cold concrete floors or sound deadening on other types of surfaces, our customers also tell us they have used it for non-slip mats in dog kennels, drawers, trolleys and boats. The rubber matting is also ideal for assisting the safe transportation of goods in vans, the fluted surface provides grip and helps prevent slipping which could cause breakages. 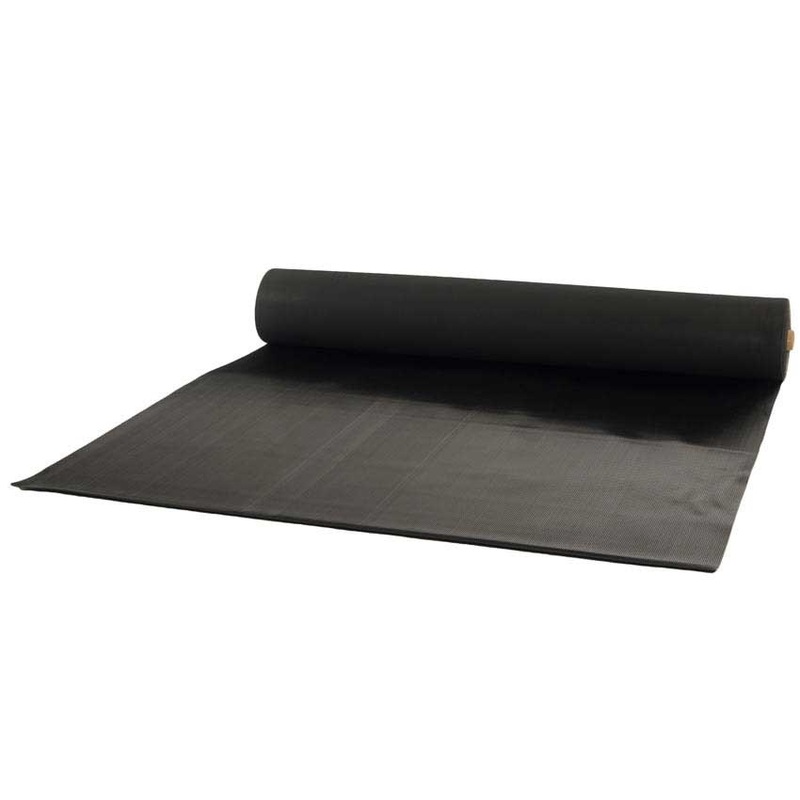 This rubber matting roll is designed with a fine fluted surface that offers perfect grip on the floor or protection for fragile parts on workbenches. 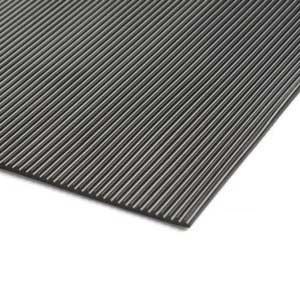 Our standard fine fluted rubber matting is sold in 10m rolls and you can choose from 900mm x 10m and 1200mm x 10m. In addition to these size variants, the standard fine fluted rubber matting rolls come in two different thicknesses: 3mm and 6mm. 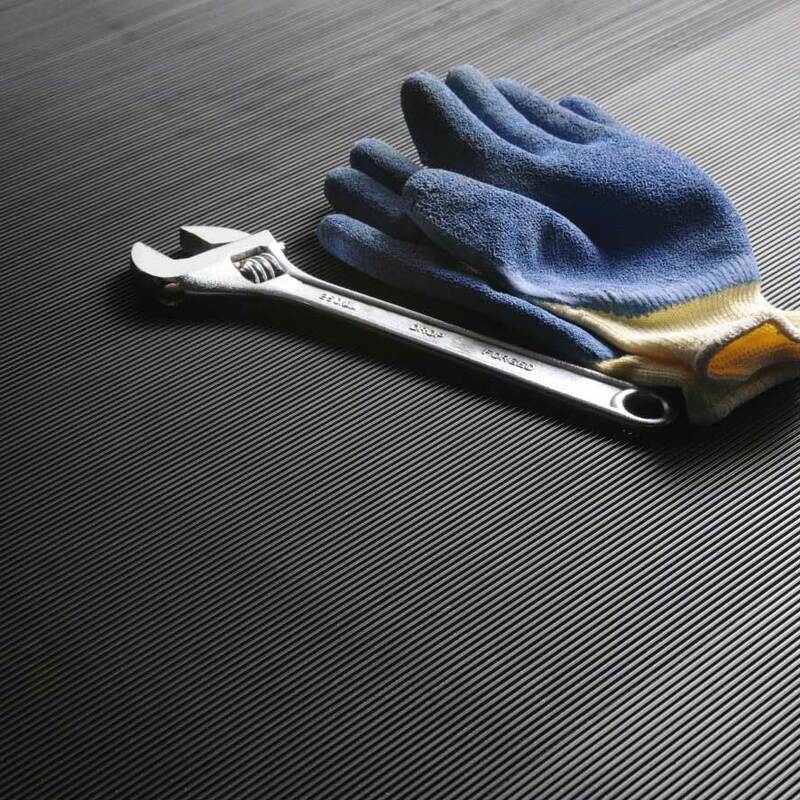 If needed, the rubber matting can be adhered to the floor or desired surface with a suitable adhesive to prevent it slipping, alternatively it is possible to lay it loose. 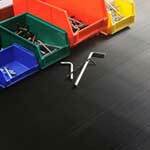 Our economical rubber matting is also available to buy by the metre. PLEASE NOTE: Rubber matting is a natural product and that means it does have its own unavoidable odour. However, this odour will disappear over a short period of time when left in a well-ventilated area, alternatively, other odour absorbing products (even cat litter) can also be used. CFF3910 - Just what I wanted - no fuss! CFF31210 - This is an excellent product. CFF3910 - Product used for garage floor vehicle runner. Only been installed for a few days so can only say it is fine so far. Much less expensive than buying thicker matting, hence only time will tell if it lasts the test of time. Just drive in straight and slowly. CFF31210 - Great product.used for flooring in back of my van. CFF3910 - We use it to protect roofs from weight damage. Recommend to anyone that asks Product is as good as any I have used before. 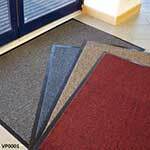 CFF3910 - Used as entrance matting, perfect for this purpose. I would recommend it for this use. 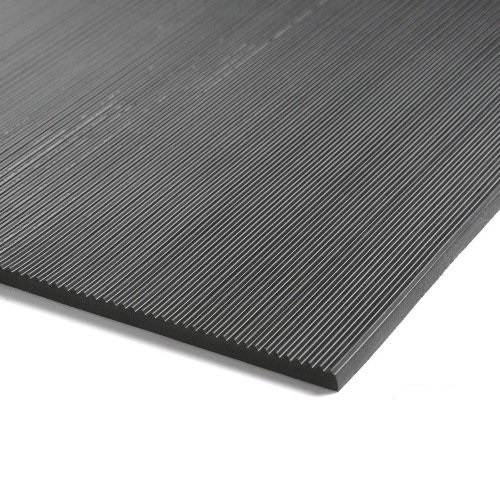 CFF61210 - Rubber matting of excellen quality that we use to stack panels on.For anyone wanting rubber matting,then ESE Direct is the best choice for quality and value and service. CFF31210 - I'm using this matting as an underneath layer for my large shed roof. I put in on rib side down,then covered it in a waterproof roof seal. It was easy to put down,and the weight of it helps it stay flat. It has already survived 3 nights of North Wales Monsoon,without a single drip leaking into my shed. I reckon it will last for many years. Very happy with the product and the service. Thank you ESE Direct! CFF61210 - The matting is being used to lay on a concrete slipway so that canoes and kayaks can be dragged out of a lake without damaging the hulls. 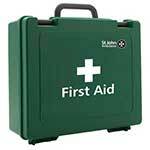 It has not been used yet but it is very heavy and the quality is high. It is exactly what the club wanted. CFF61210 - We use the product to protect the carpets in our warehouse and lower offices, I would recommend this product to anyone looking for a solid, well made protective product. The quality is fantastic and it will definitely hold up for the next 5 years. 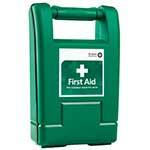 CFF3910 - We used this product to line the metal boxes on our lorry to stop things slipping around and protect them. The quality of the matting was really good. CFF6910 - Just what I needed to protect the bushing from damage. CFF612 - Good Product. slight delay with delivery but soon sorted out. CFF69 - The product, for our use, was great. We use it on a commercial fishing vessel and it did the job very well. CFF3910 - Does what it is supposed to! CFF61210 - Seems a solid product. Not yet installed as delivery later than promised. CFF39 - We us the product for lining van shelves to stop equipment moving and for sound deadening. Good quality. Would buy this product again. Q. 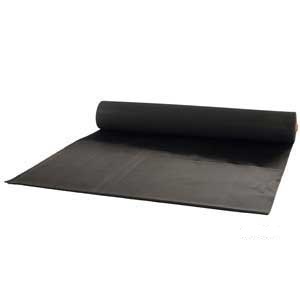 How can I remove the odour of rubber matting?